Click on the blue link below to claim a 60% discount given to MonetizePros readers - this includes free migration and a free domain name. 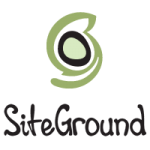 SiteGround is one of the most popular WordPress hosts and they’re highly respected in the industry. Ultra fast site speeds, excellent 24/7 support and next-level security is what you’ll be getting - claim the deal! How may we help you succeed?